Why do you love social media and online games? The instant gratification of course! There is no better feeling on earth than getting instant rewards, a bonus or something extra for almost no efforts. Coupons work on the same principle. Online coupons are becoming widely popular and being used by all types of consumers. According to recent surveys and researches receiving coupons makes customers feel better about spending money and makes them pleasantly amiable. 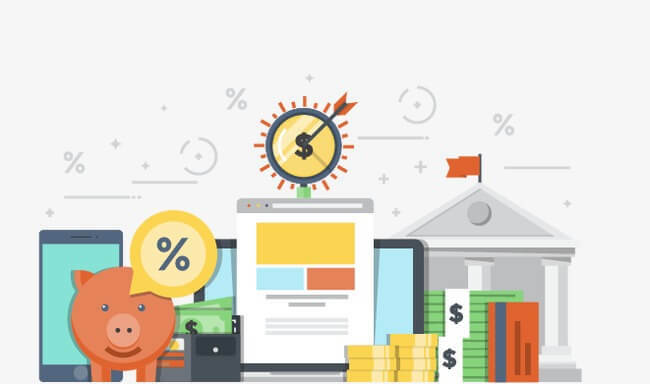 Here are a few ways you can capitalize on coupons and attract more sales for your ecommerce store! This is extremely vital. There is no point in offering coupons which will not be valuable to your customers or which don’t appeal to them. So design your coupons with your target audience in mind. Do you want to offer coupons to attract more traffic to your store? Give your new users a coupon to aid their first purchase at your store. Do you want to build loyalty? Give your returning users premium coupons for shopping. Be creative and offer as many varied coupons as you can. If people receive what they need, they will keep shopping for receiving more such rewards. Don’t ever go for plain, boring and repetitive kinda rewards. The Internet is not for the dull and lazy offers. Spice up your coupons. Offer discounts to some, bonus buys to others. Send back love to loyal users with Premium coupons. Most importantly, please your costumers. Show them that you intend to make their shopping experience more beneficial for them and generate more sales. And don’t miss upselling and cross-selling opportunities with coupons. Don’t shy away from offering coupons for bundled deals. Remember, people want to buy what you suggest. They really do. Shopping, if you ask me, is a fun game. And why do we play games? For rewards, why else? So when people are shopping with you, gamify their experience. Give them coupons for shopping with you for the first time. Offer coupons after they hit a specific fiscal value with the products in their carts. They will be more pleased with buying those products then. 91% of people who redeem a coupon once with a store are tempted to shop again from the same store! Do you smell huge selling opportunities? People come to your site. They get awed by your eye-catching website and your amazing product descriptions. They add the products to the cart. But when then comes the time of the big trail- the check out process. Most people abandon their cart right here. There are multiple reasons for this hesitation and indecisiveness on part of the users. But the major ones are shipping charges and the total bill being higher than their expectations. So what do you do to let people still buy from you? It is kinda obvious. You bring down the total by offering coupons. Not only will the users buy your products, they will also be so pleased with themselves for getting such fabulous deals. The success of your online store will be determined by the number of returning users who shop from you regularly. Your brand will be build due to their loyalty. Promote loyalty then! Give special discounts coupons to your regular customers. Do you know their birthdays? Send them birthday coupons. They will love you for remembering. Is the festive glory in the air? Send them special Commerce Coupons. If they are going to buy for the festive seasons, make sure you are the one they are buying for. Be alive in their memories. Target them at regular intervals. ECommerce Coupons will prove to one of your best marketing strategies you apply to boost sales of your e-commerce store. It will save advertisements cost and attracts new customers to your store by increasing your online visibility. They will also prove a boon to conduct end of season sales. Go design your coupon strategy now. Your customers are waiting for some tempting Commerce Coupons.